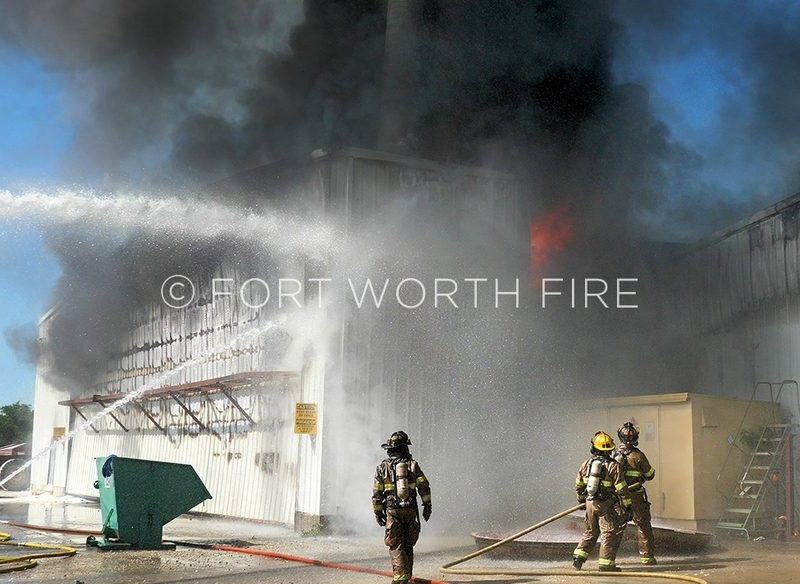 Fire starts to break through a metal door during a commercial building fire. 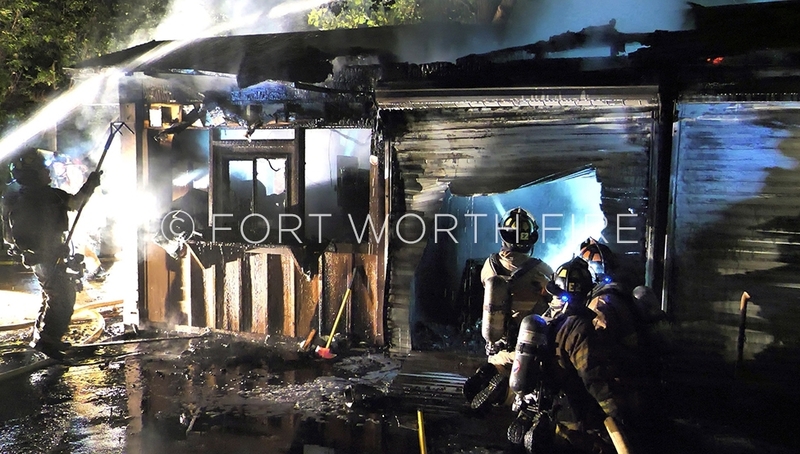 Firefighters make an initial attack on a well involved commercial building. 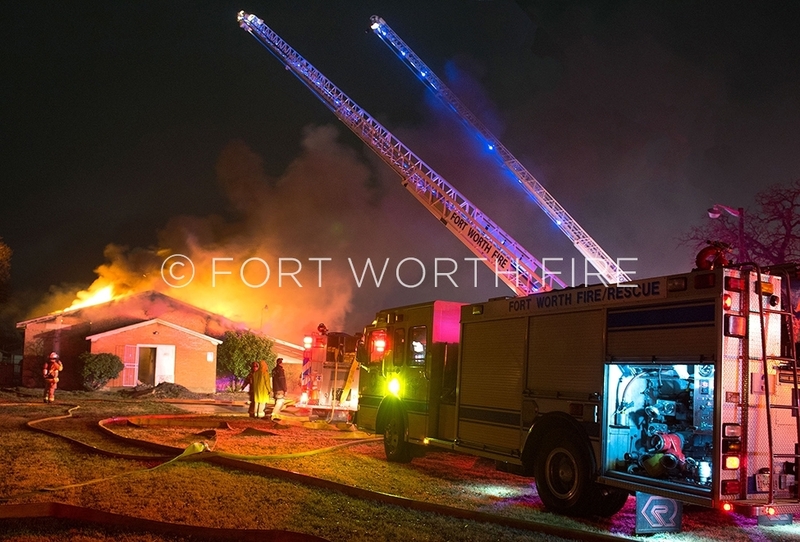 Engine 25 makes an attack on a wel involved commercial building. 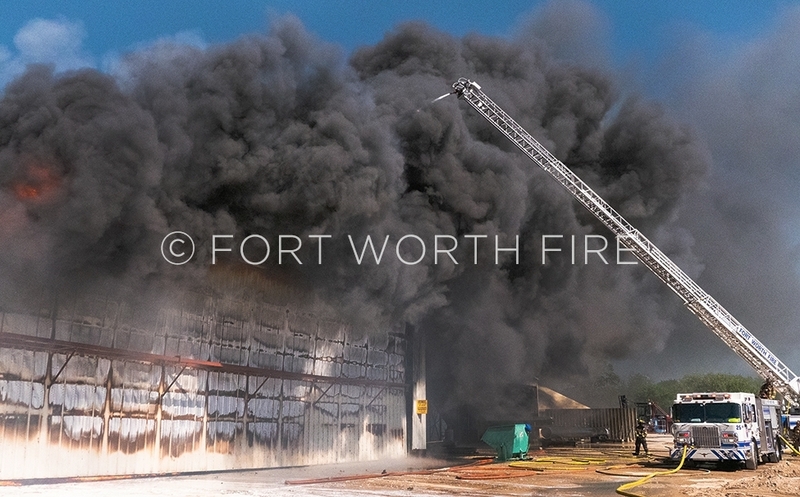 A firefighter works atop Quint 12 during a commercial building fire. 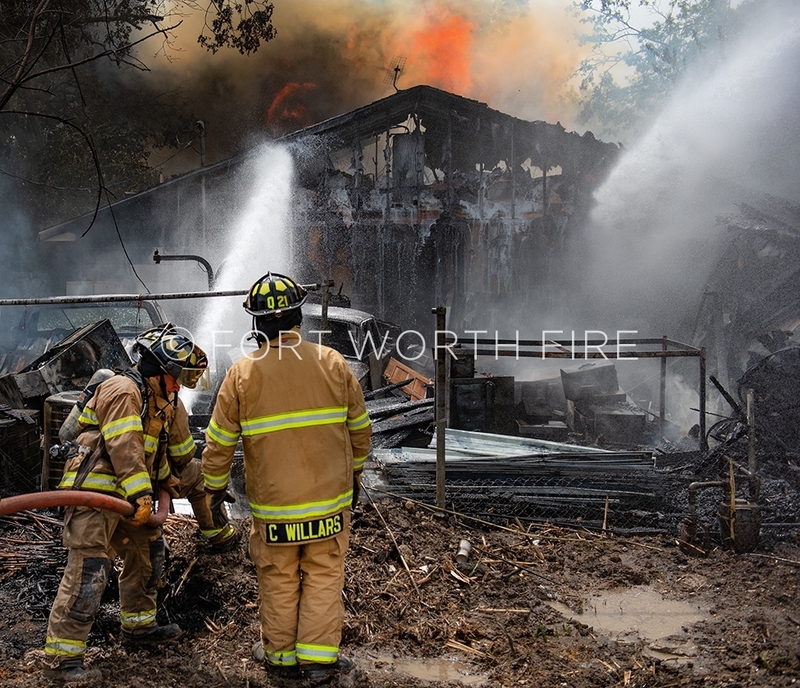 Mike Woodard stays down as firefighters begin to attack heavy fire in the garage area on Granite Shoals. 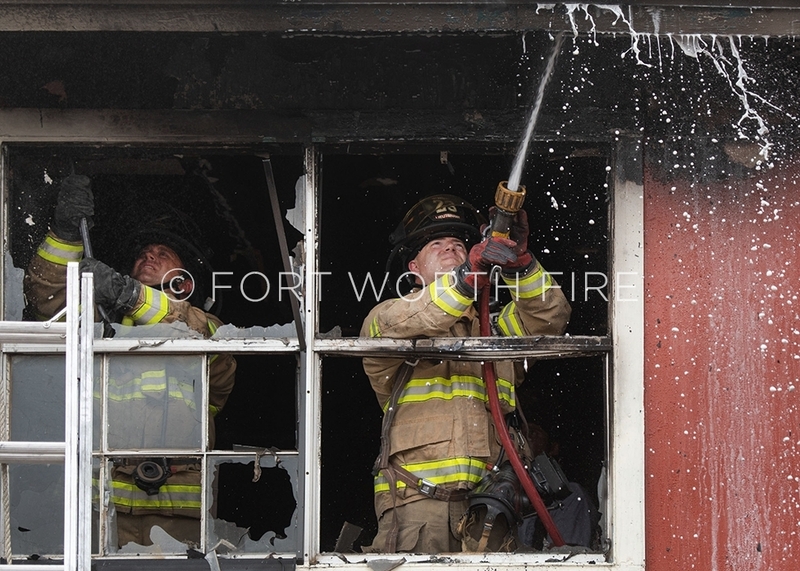 Shannon Keener readies his gear during a house fire on Granite Shoals. 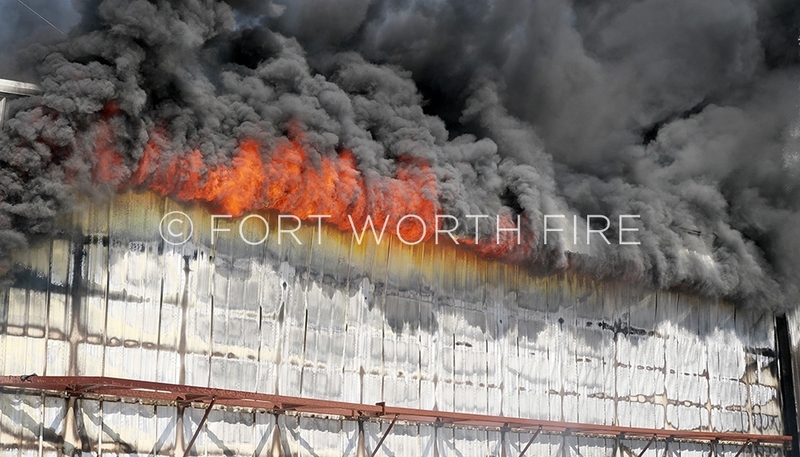 Fire comes through the roof during a 2 alarm fire at the Xander apartments. 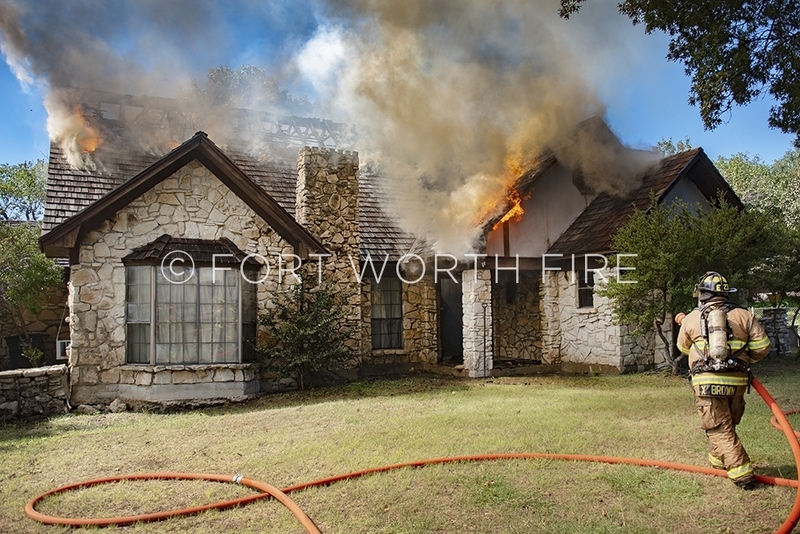 Overhaul during a house fire on Redbud. 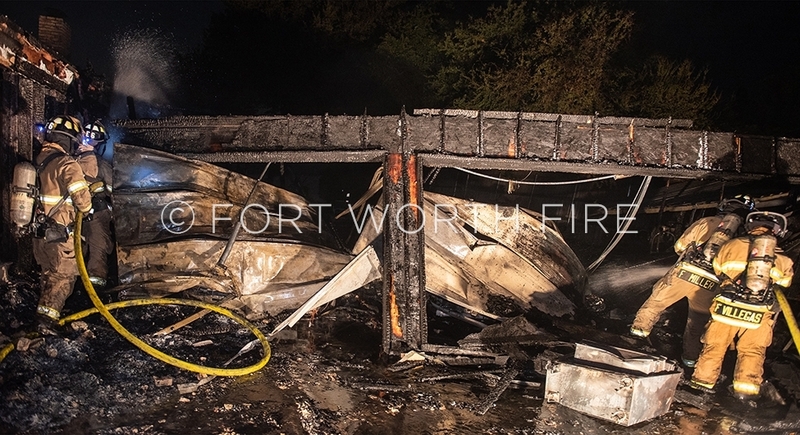 Xavier Brown advances a hoseline into position during a structure fire involving a wood shingle roof. 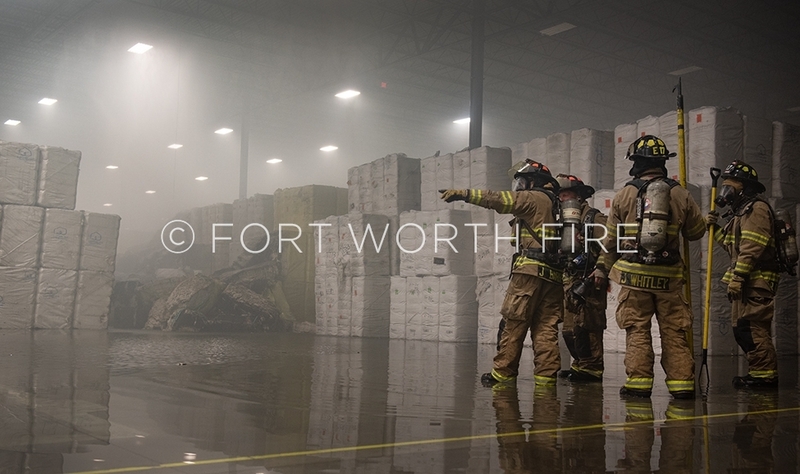 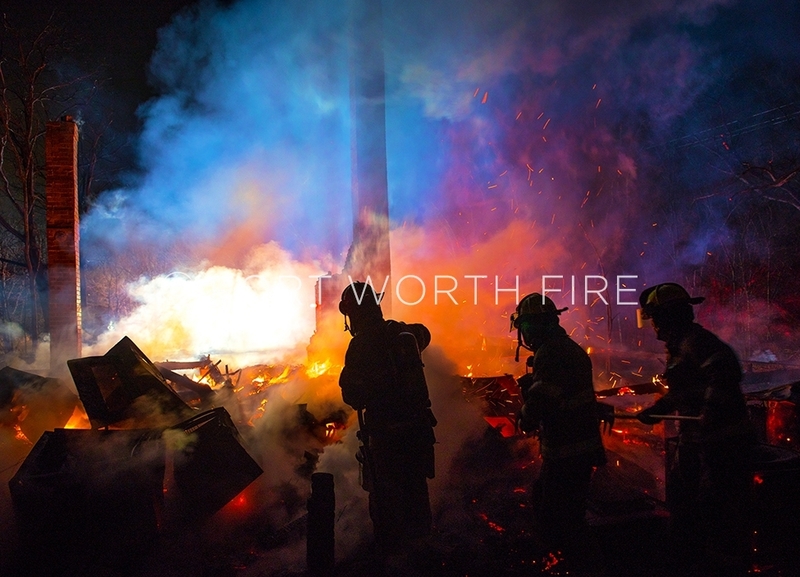 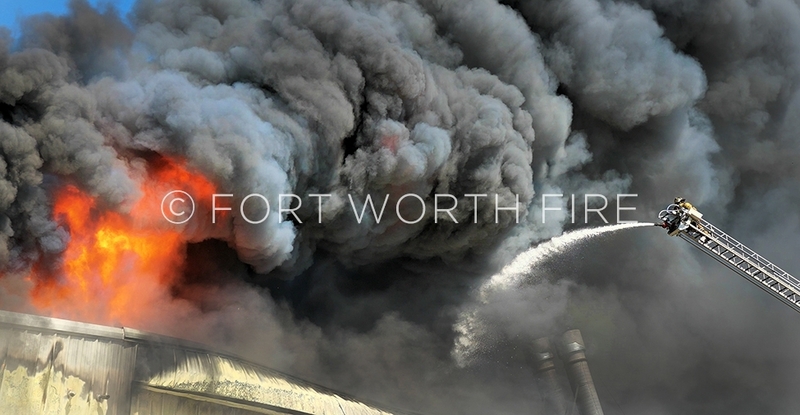 FW firefighters work to extinguish a fire in a concession /storage facility at the Fort Worth Zoo. 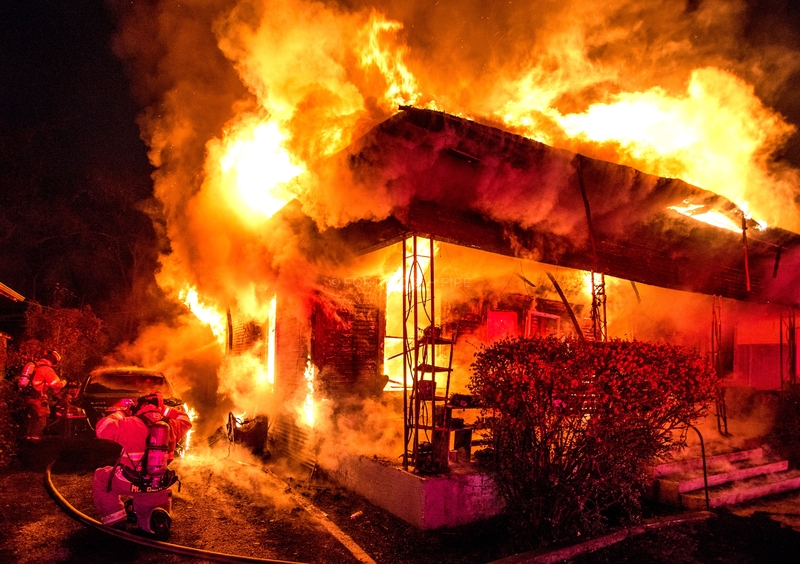 Firefighters overhaul the garage area of a large home in the Lake Country addition. 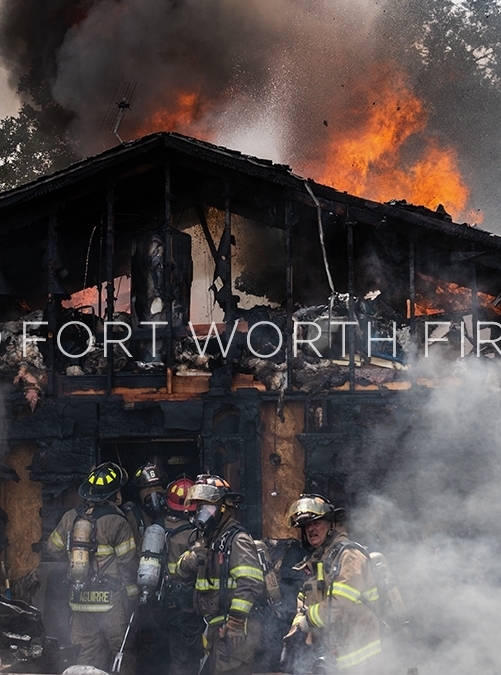 Firefighters evacuate a structure on Livingston as conditions deteriorate. 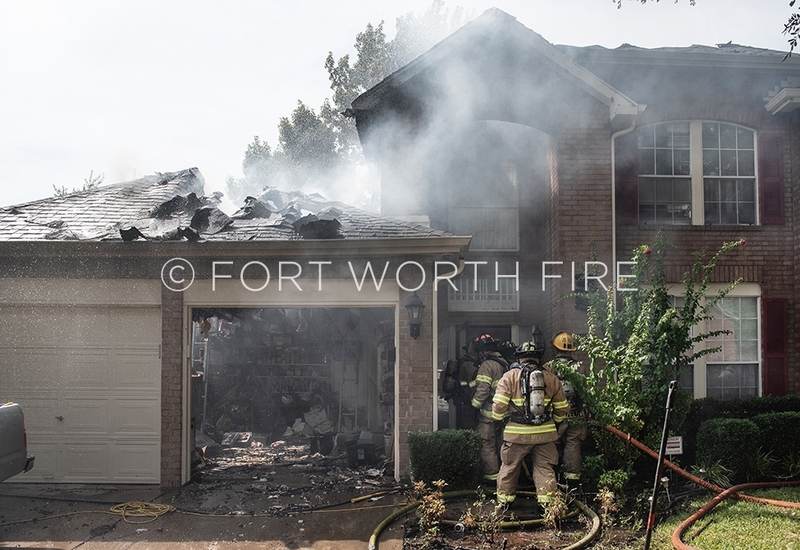 Firefighters prepare to enter a house on Arcadia Trail following a defensive operation. 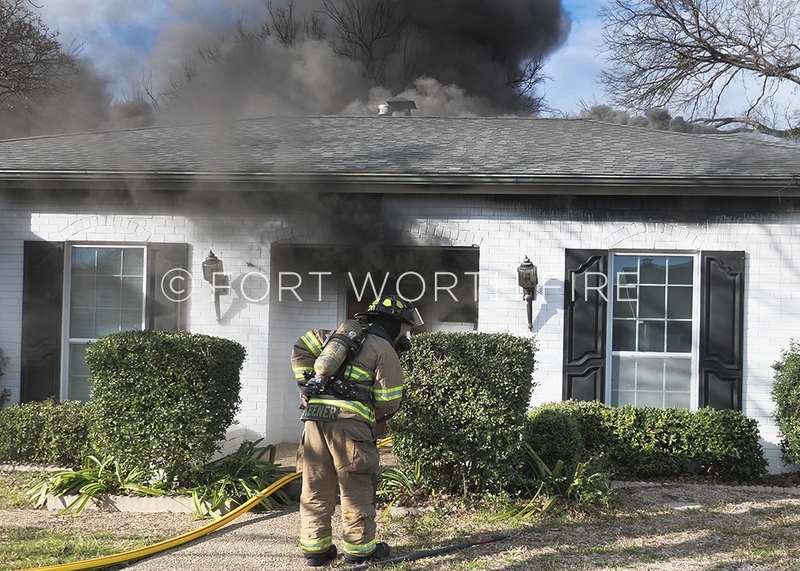 Firefighters work at a structure fire on Livingston Ave.
Chris Willars directs an engine 21 crew at a defensive residential fire. 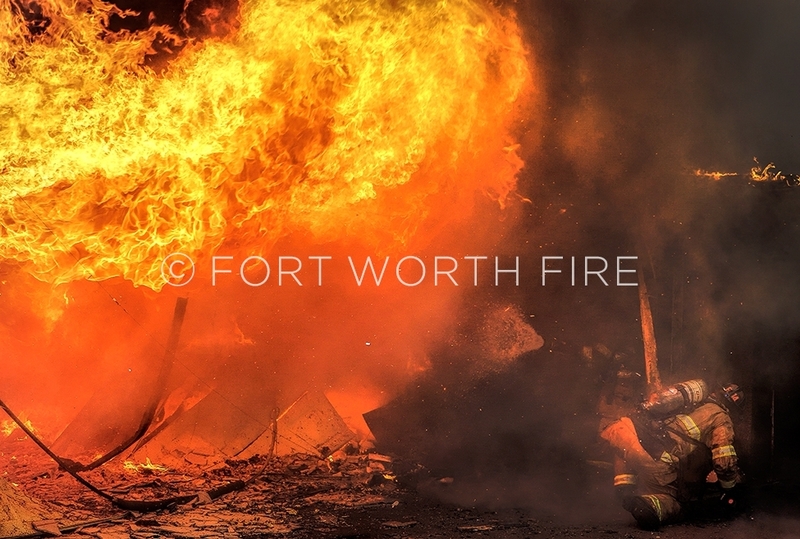 Kyle Short and Mike Mckee work on hootspots during an apartment fire at 3066 Las Vegas trail. 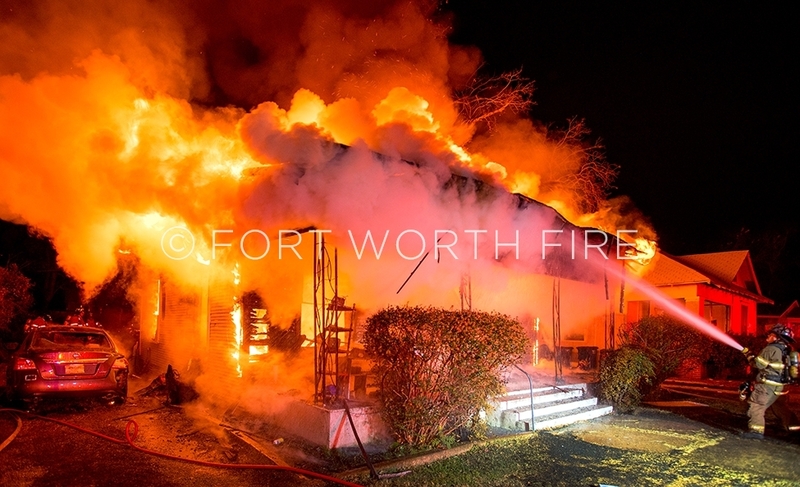 Firefighters extinguish an abandoned farmhouse located in the deep southside. 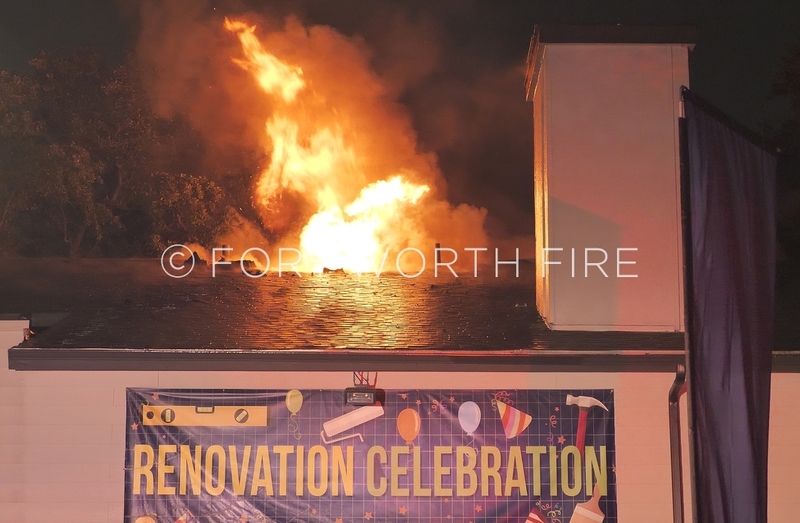 Safety officer Ralph Diamond gives direction to Zak Wood during a defensive operation at a church fire prior to a collapse. 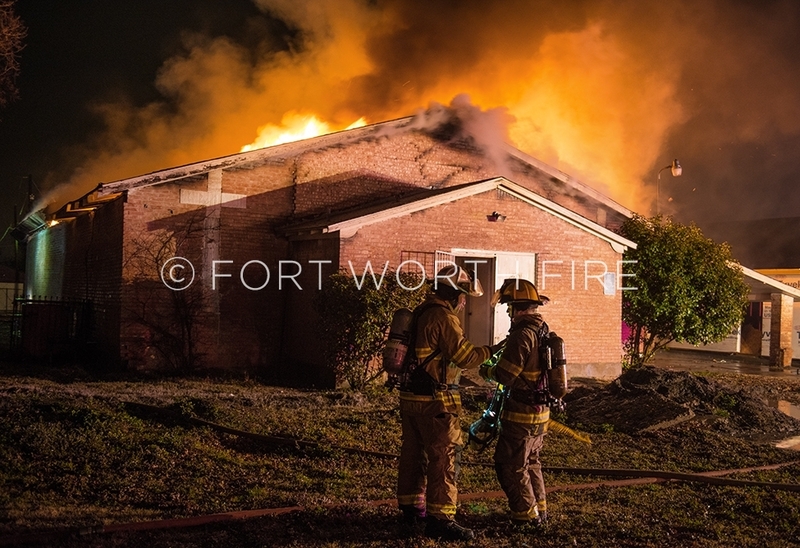 Firefighters work at a 2 alarm church fire in the 4800 block of SE Loop 820 at the St. Jude Baptist Church. 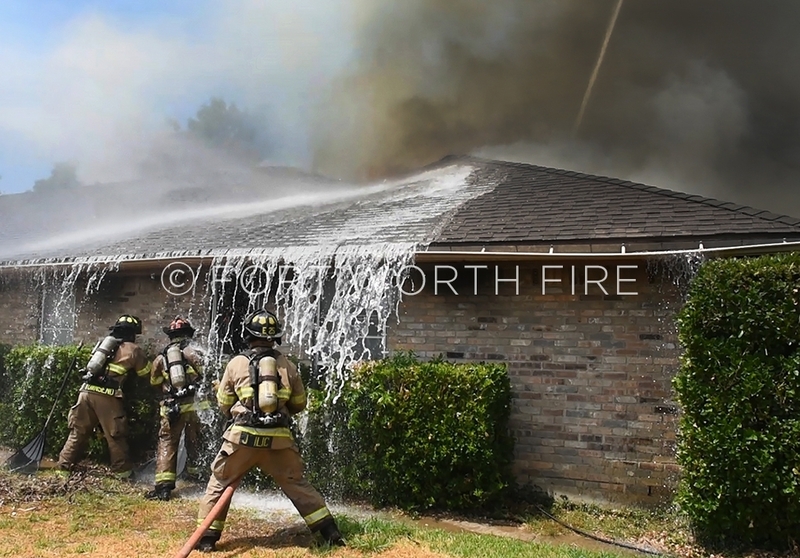 Shelia Dotson directs a hose line onto a well involved house on E. Baltimore St. 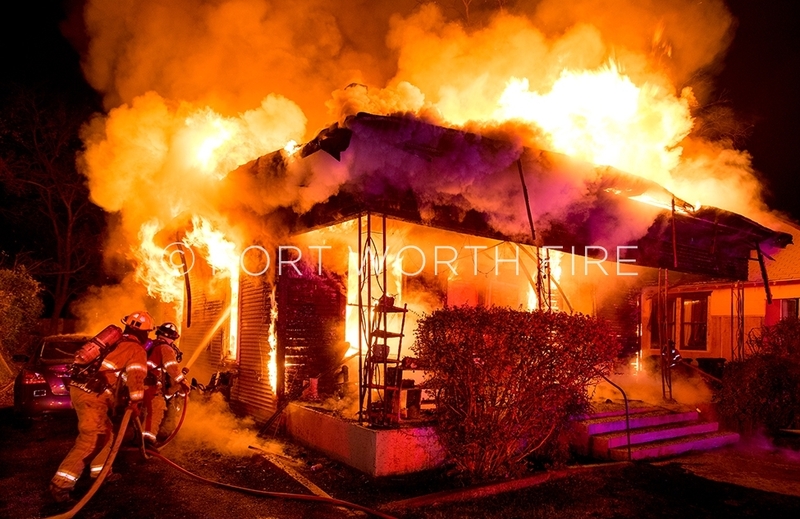 Firefighters move in on a fully involved house on E. Baltimore. 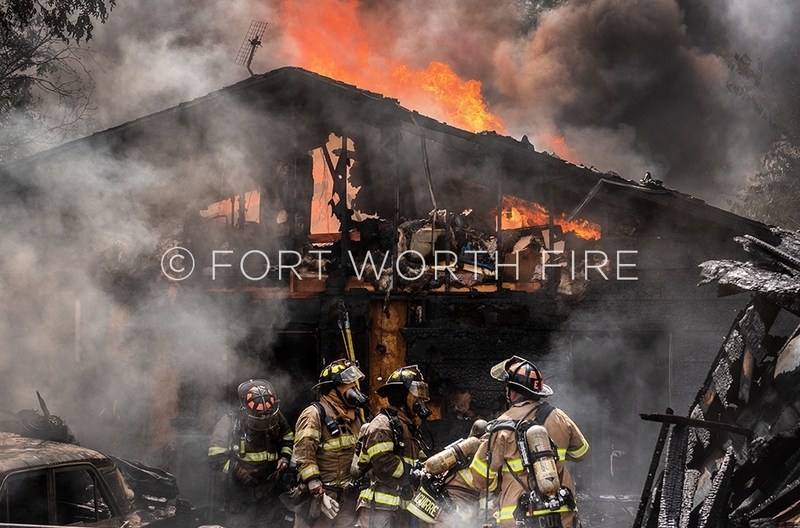 Firefighters gear up to attack a well involved residential fire.